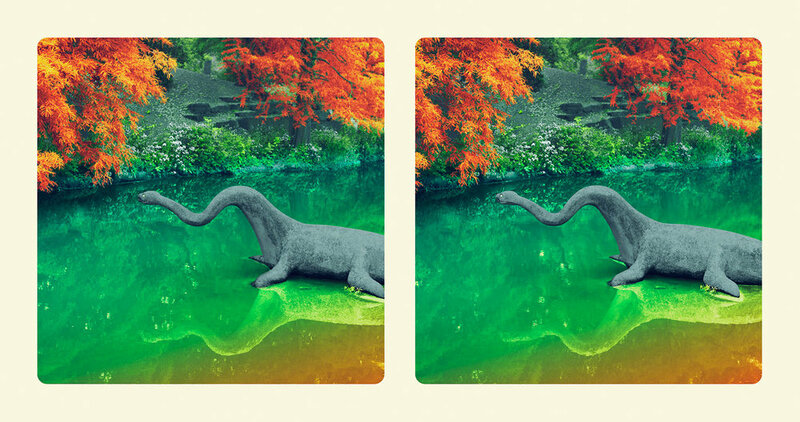 The enjoyment of stereoscope cards was hugely popular from the 1850s, through to the end of Queen Victoria's reign, and is often likened in popularity to that of television in the 1950s–1960s. 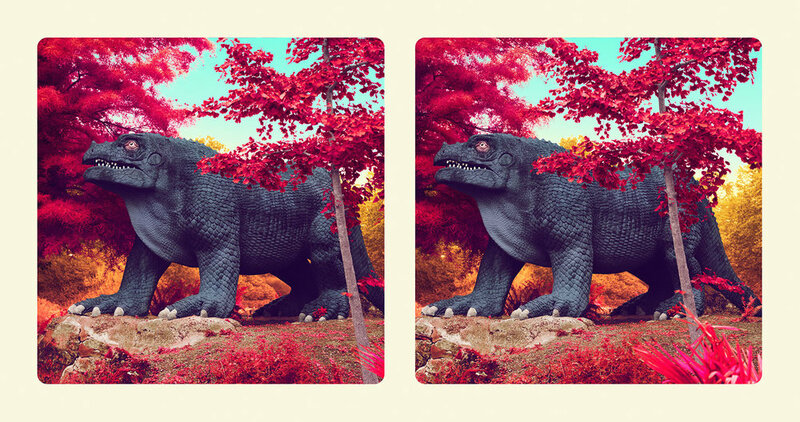 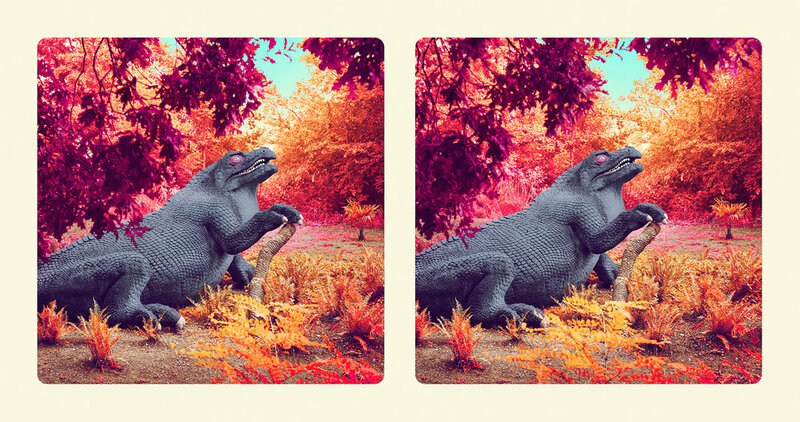 The joy of looking is extended to Dinosaur Island—a series of stereoscopes that re-present the dinosaurs made by Benjamin Waterhouse Hawkins, for the Crystal Palace Exhibition of 1853–54, and which remain on display to this day. 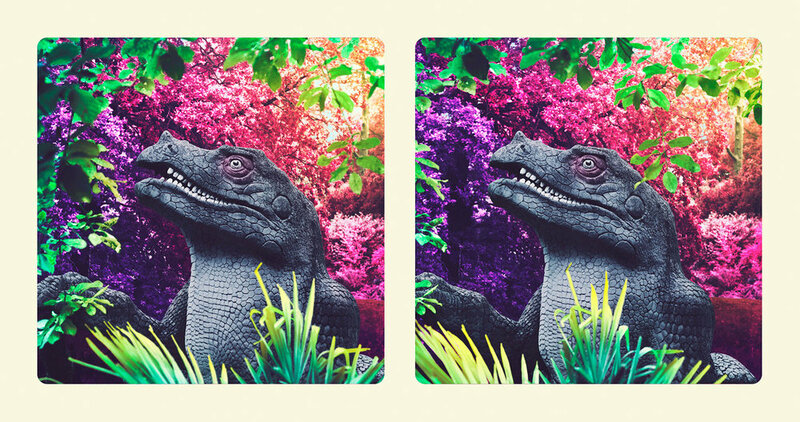 With the introduction of saturated colors by the artist, the dinosaurs are hyper-surreal, akin to fantastical Hollywood B-movies.